We prefer that you schedule ahead of time so that we are able to provide the best service. Our schedule is flexible and we can hold your tour during the evening or on a weekend. Schedule your tour! Medicare is accepted at our North Canton and Portage Lakes facilities and typically covers 100 days of care after a hospital stay lasting at least 3 days. Medicaid is accepted for long term stays at our North Canton and Portage Lakes facilities. Our Assisted Living facilities in Minerva and Portage Lakes are private pay. We often have a waiting list for Assisted Living, Short Term Rehab and Memory Support. Please call to check the current status. Is a doctor’s order required to be admitted? Your doctor will need to provide a patient history and physical within 5 days of admission. Yes, while most of our rooms are semi-private, we do have a few private rooms. Please keep in mind that Medicaid does not cover the cost of a private room for long term stays, so you or your family will have to make up the difference in cost. We have RN’s working 24/7 that are responsible for the assessment and care of the residents. The doctor is required to see the resident every 30 days for the first 90 days and then every 60 days thereafter. However, the doctor is always on call and is informed by nursing staff when there are concerns that require intervention. Our North Canton facility has a designed wing for short term rehabilitation patients. However, patients can receive rehabilitation in any nursing area in North Canton or Portage Lakes. Yes, we believe in person-centered care here at St. Luke and try to keep the resident’s routine as much like home as possible. Again, with person-centered care, the resident can sleep as late as 10 AM if they choose to do so. Their breakfast will be delivered to their room when they request that service. We encourage you to bring these so that we can make the resident’s room as homelike as possible. All newly admitted residents meet with a Dietary representative to discuss what they like and dislike as part of their diet history. We use a four week cycle menu that offers a broad variety of foods. We also offer a limited selection of “always available” items. Everyone is encouraged to eat breakfast, lunch, and dinner. It is a resident’s choice and his or her right to not eat any meal. Yes. Non-perishable foods may be brought in and stored in a labeled, sealed container in the resident’s room. Perishable foods may be stored in the refrigerator located near the nursing station. Food must be labeled and dated. Yes. A guest tray may be ordered and paid for through the Front Desk. Do you provide TV, internet or phone service? Yes, our Admissions or Social Services staff can help you with the necessary paperwork and scheduling installation of services. We even have Sports Time Ohio, ESPN and more so you can catch most of the big games. When is help available to bring in furniture, hang pictures, etc? Yes, the maintenance department operates from 7:00 a.m. to 3:30 p.m. seven days a week. We do laundry seven days per week between 5:30 am and 2:00 pm. Please make sure all articles of clothing are clearly marked with the resident’s name. The laundry department will be glad to mark them for you. Can the activity department use more volunteers? Absolutely! We love you just for asking. Learn more about volunteer opportunities. Will someone assist my loved one to and from activity programs if necessary? Yes. Staff and volunteers encourage and transport residents to and from their rooms should they choose to participate. Are all the Chapel services Lutheran services? 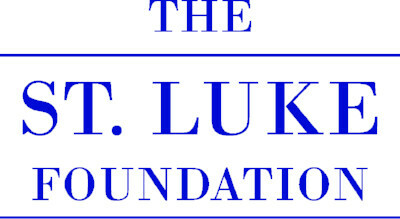 St. Luke strives to meet the spiritual needs of all our residents who come from a wide variety of faith expressions. 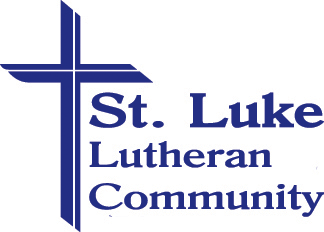 Although St. Luke – North Canton’s chaplain, Pastor Bartholomew, is an ordained Lutheran minister and several of the volunteers who lead worship at Portage Lakes are also Lutheran ministers, the Chapel services are best described as ecumenical. There are elements in every service that are familiar to people from different denominations. Though many Roman Catholics attend our regular Chapel services, Mass is offered as well as a Catholic Communion service and Rosary service. Are Memorial Services permitted in the St. Luke Chapel? St. Luke has served many residents and their families by offering the Chapel as a place for Memorial Services. Please keep in mind that our seating is limited. North Canton can accommodate 65, Minerva 40 and Portage Lakes 20. Also, St. Luke cannot accommodate funeral services which include bringing in the deceased’s casket.